IGP officer Hemant Kalson, who was posted as an election observer at Ariyalur in Tamil Nadu, was suspended on Monday by the Haryana government for reportedly firing in the air from a constable's gun. The 2001 batch officer was sent on election duty in view of the April 18 Lok Sabha election in the southern state. The incident took place on Sunday wherein the officer, suspected to be under the influence of alcohol, asked the constable posted there to give him the semi-automatic gun. He then started firing in the air on a road near the Circuit House at Ariyalur, where he had been staying. IGP Hemant Kalson has been placed under suspension with immediate effect, an official order issued here said. "During suspension, his headquarters will be in the office of DGP, Haryana, police headquarters at Panchkula," the order issued by the Haryana government said. The Inspector General of Police (IGP) rank officer was currently posted as IGP, Home Guards, the order said. According to reports, Kalson, after the firing incident, handed back the gun to the shocked constable before going back to his room and resumed his sleep as if nothing happened. 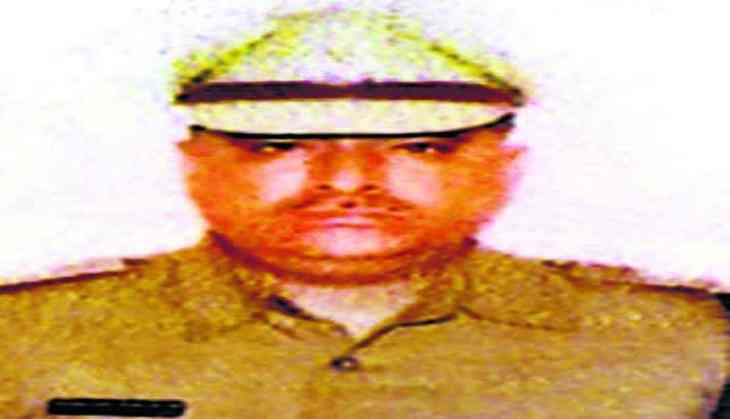 Police said the constable could not refuse when the observer asked for the gun as he was a high-ranked police official. State Chief Electoral Officer Satyabrata Sahoo had in Chennai said the officer was relieved from his duty as an observer and an FIR was registered against him.